The fare for motorcycle taxis around the town is between 10 baht and 20 baht, while that of tuk-tuks is approximately 15 baht. Motorcycles can be rented from various shops around town. 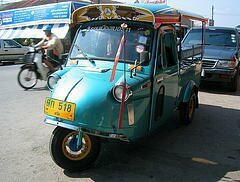 Songthaew are the most popular form of local public transportation around both the town and rural areas. 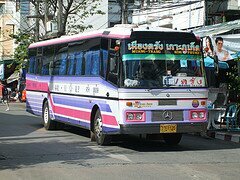 These vans ply between Trang and neighbouring provinces on a regular basis. Call a local taxi < Tuk Tuk > to transfer to our Transit Station in front of Railways Station, then you can shared the Van to Pak Meng Pier our Transit Station Manager will arrange the shared / private transfer to Pak Meng Pier, If you come via Train, just in front of the Trang Railways Station, you will find our Transit Station, Let’s start from there. ** On High Season only ** The Excursion Ferry Boat leave Ban Saladan Pier, North of Koh Lanta daily around 8 am. arrive Koh Ngai Jetty at 10.00 am. Vice versa, the trip back to Koh Lanta by the same ferry boats leaves Koh Ngai Jetty around 2 p.m. takes 2 hours to arrive Ban Saladan Pier, in Koh Lanta Yai.